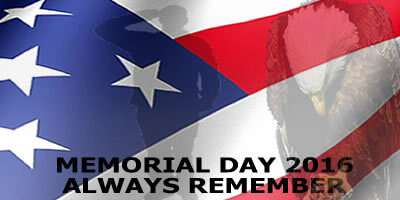 To many Americans, Memorial Day is just a U.S. holiday that takes place every year on the last Monday of May, it is just another excuse for a three-day weekend or that first trip to the beach. It may also be known as the day that marks the “official” start of summer or a day to get deal on a new car or mattress. The true meaning of Memorial Day goes far beyond the picnics, barbecues and sales that we all attend. The “holiday” – if you can call it that – began after the Civil War, and at that time was known as “Decoration Day.” Even though it was originally created to honor soldiers who died in the Civil War – today Memorial Day is a day to honor all of the Americans who have served and died in military service for freedoms we enjoy as the United States of America. All Americans should be required to take just a few moments out their day off and the celebration and leisure we enjoy as a result of the sacrifices of those who have given their lives for this great nation and reflect on the freedoms we have because of those who have paid the ultimate price for our liberty.